New consumer interest in bitcoin is trickling up into traditional retirement savings products and tax-advantaged vehicles like Individual Retirement Accounts (IRAs). But while a new phenomenon, cryptocurrency IRAs are no different than IRAs invested in more traditional options like stocks and bonds. Holders of IRAs can deduct contributions from their income tax every year until the commencement of disbursements, currently at 59.5 years old in the US. However, while there is no legal difference in an IRA account’s status based on the investment, most popular IRA providers only allow pre-approved investments, not more unusual options like cryptocurrencies or private equity and property. According to data from Greene IRA, 38% of Americans use IRAs as a type of retirement savings. Currently, the firm BitcoinIRA is the only option for investors who wish to hold cryptocurrencies in their IRAs directly, using Kingdom Trust and Palo Alto-based BitGo for storage. BitcoinIRA took its first accounts in June 2016, and just recently began offering ethereum IRAs as well. (The firm even boasts former US Mint director Ed Moy as an advisor). Investors with 401ks through their employers can transfer those funds into such IRAs under certain circumstances. Damon Smedley, a BitcoinIRA investor, who lives in Portland, Oregon, opened an account with BitcoinIRA last year. A former manufacturing engineer for a major technology company, Smedley bought his first bitcoins in 2013 and has monitored the price since. That’s a typical profile for early BitcoinIRA investors, said Chris Kline, chief operating officer of BitcoinIRA. But increasingly, Kline said, he has seen inquires from people who were less interested in the technology and were instead motivated by the uptrends in digital currency prices. BitcoinIRA charges a one-time upfront fee of 15% on deposits of $15,000–$100,000; 13% on $100,000–$200,000 placements and 11% on those $200,000 and above. Kingdom Trust, a self-directed IRA provider and BitcoinIRA partner, also charges a custodian fee for holding bitcoins in a multi-signature wallet, enabling investors to verify funds in real-time. Kline said BitcoinIRA has seen a surge in interest as bitcoin prices have skyrocketed. To date, the price of bitcoin has almost doubled this year: from just under $1,000 at the end of 2016 to nearly $2,000 today. Considering this growth, Kline expects cryptocurrencies to one day be as commonly held in IRAs as stocks or bonds. Indeed, if there is one asset class well suited for retirement savings products like IRAs, it might be deflationary cryptocurrencies like bitcoin, which increase in value over time. (It’s important to note, however, not all cryptocurrencies are deflationary by design). Notably, too, ethereum has climbed 900% since the beginning of the year, and the combined market cap of all cryptocurrencies has spiked 80% over the last month alone. Another option for some IRA investors, who would like to benefit from the price increases without holding cryptocurrencies, is private placement with products offered by Grayscale Investments, a digital currency startup providing products for high net-worth investors and that works with IRA administrator The Entrust Group. For its products, investors must be accredited, which means a net worth of over $1m or income over $200,000 in each of the last two years. 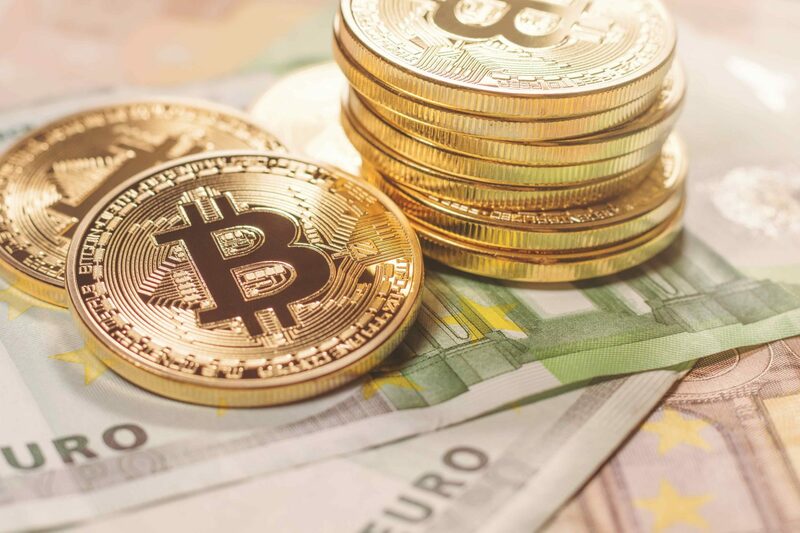 Both BitcoinIRA and The Entrust Group administer ‘self-directed’ IRAs, which means the account owner is responsible for their investments, including understanding the tax consequences. That’s why the Government Accountability Office issued a report in January calling for more clarity on the tax consequences of less-common IRA investments so that investors are aware of the risk. For example, the IRS classifies virtual currencies as property today. Officials with the IRS have started compiling data on alternative investments in IRAs, including cryptocurrencies, and said in statements they plan to release findings sometime this year. Disclosure: CoinDesk is a subsidiary of Digital Currency Group, which has an ownership stake in Grayscale Investments.